Apply liberally 15 minutes prior to sun exposure. 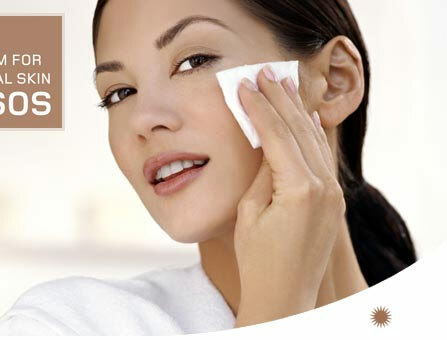 Reapply after swimming, excessive perspiration or towel drying. Effective on all skin types. Offering the ultimate in broad-spectrum protection from both UVA and UVB radiation, SOS™ SunGuard Face Block provides an effective shield against the sun's harmful rays. Formulated with Parsol 1789, it also contains Aloe Barbadensis Leaf Extract, which provides a rich, non-greasy feel with long-lasting moisturizing properties. 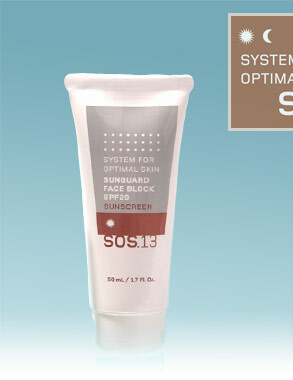 SOS™ Sunguard Face Block is recommended for all skin types.